Read the stories about our Schools Program as experienced and written by those who are participating in the activities and partnerships. 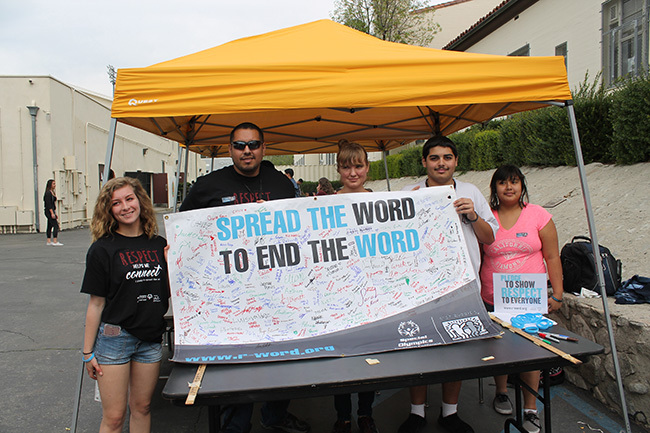 Students across the country are gearing up to Spread the Word to End the Word – the R-word. Retard(ed) is a phrase carelessly tossed around and hurtful to those with intellectual disabilities, their friends and families. 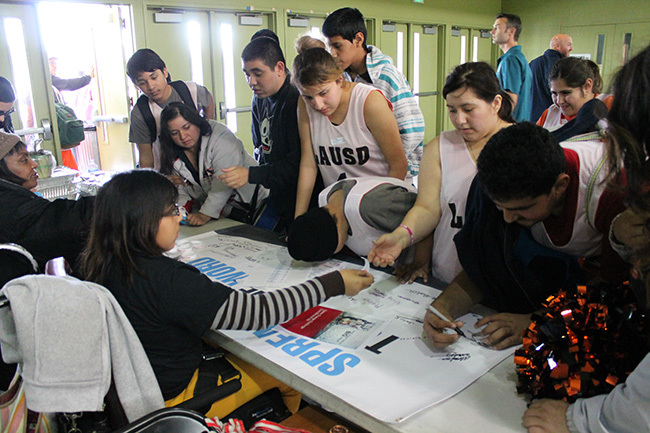 Each of the past two years, the school also has been hands-on with its education to students without intellectual disabilities. 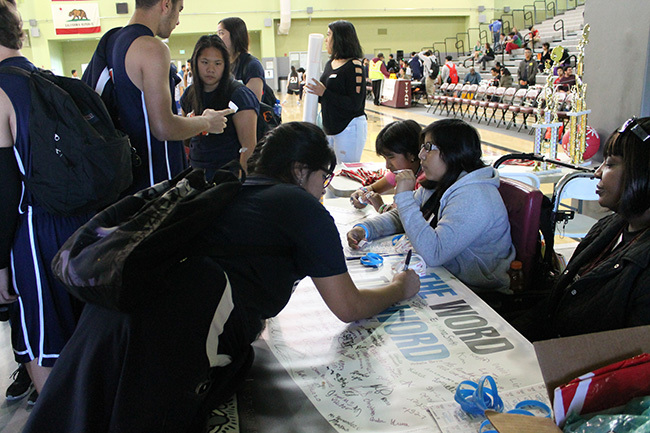 The club’s students set up booths that put a person in situations like an autistic or Down syndrome student would feel. “They had outfits they put on them so they could feel the frustration,” Dutch added. The feedback has been positive, Dutch said, and the campaign has opened up minds and eyes. 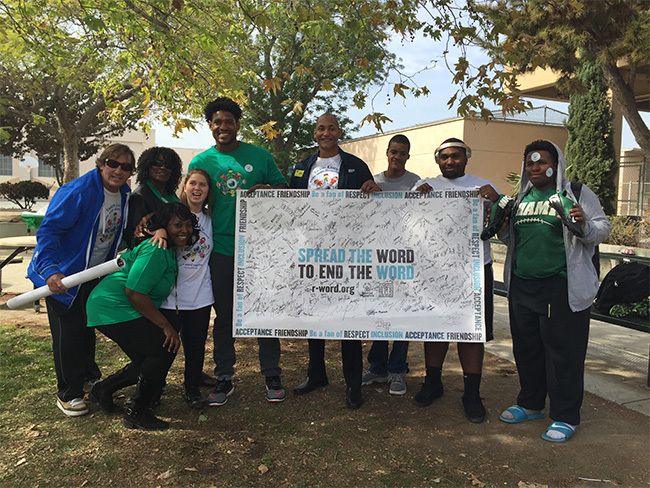 A former football player, Dutch said his coach made it a point to volunteer. 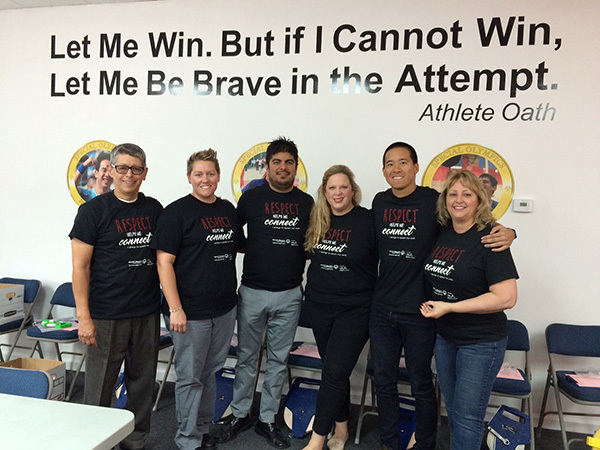 What started out as a volunteer-or-you-won’t-play challenge to the entire team quickly transformed into a passion. “It was amazing that after the first year we fought to get to go because we had so much fun,” Dutch said. Dutch remembers bring paired with a young man, Eric, who “would not listen or work with anyone.” But Eric had heard Dutch also competed in wrestling and a bond was formed. “[Eric] asked if I could be with him the entire weekend during the state games,” Dutch recalled. “After hanging with each other for the weekend, we became life-long friends. When I was upset the next year in the state semifinals, the only person who I could talk to was Eric. 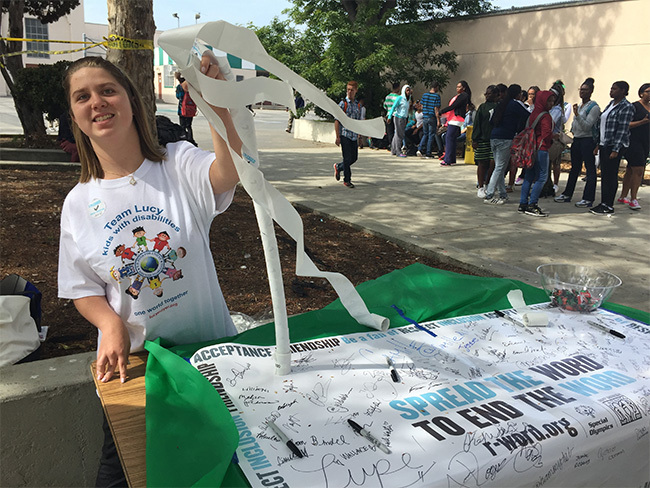 He was there for me.” Now, he sees Ernest Righetti High School going through its own growth over the last five years with students with intellectual disabilities being recognized at Homecoming. In 2007, Antonio “Ferocious” Ramirez was named the school’s King of Hearts. In 2012, Justice Geyer was named Homecoming Queen. 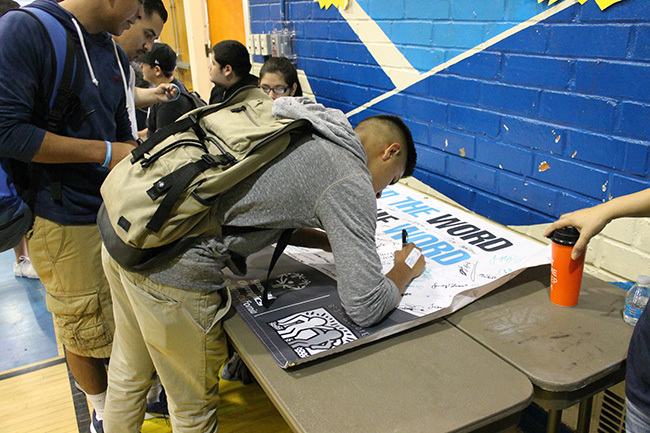 “It’s really been neat to watch how these kids have become part of the atmosphere of the school and part of the culture, instead of being on the outside,” Dutch said. 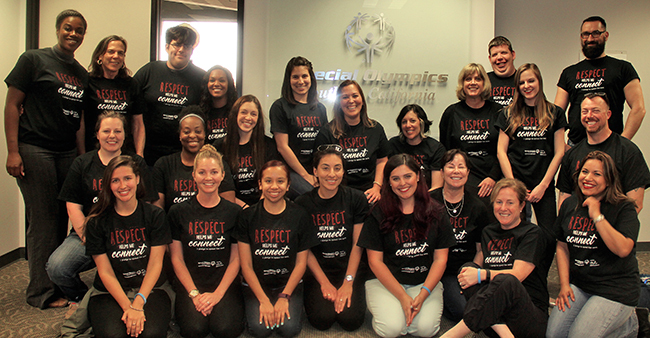 The week-long R-word campaign, which this year begins March 2, played a part in that transformation. 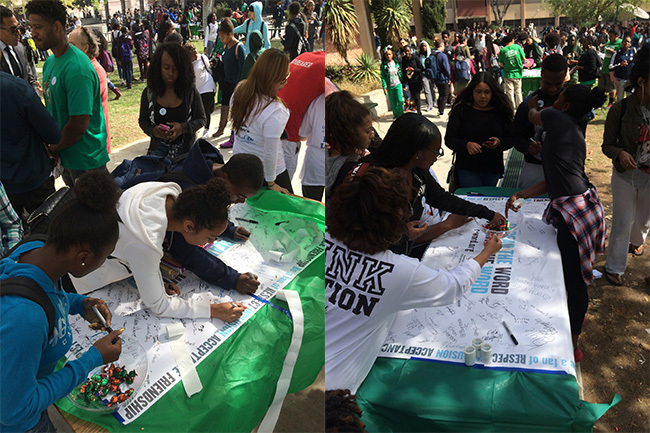 Students and staff at Hamilton High School (LAUSD) on March 2, 2016. 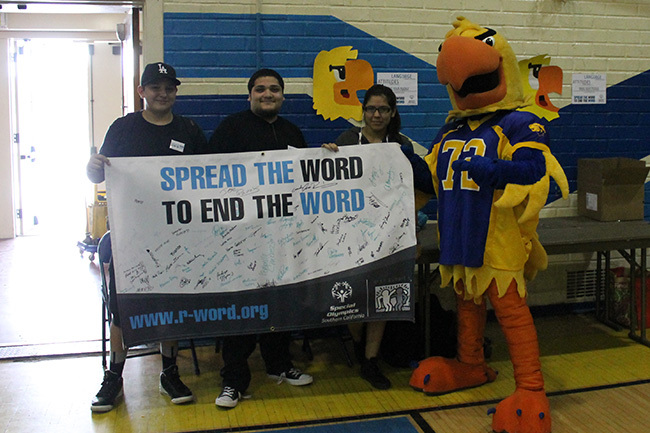 Students and staff at North Hollywood School on March 2, 2016. 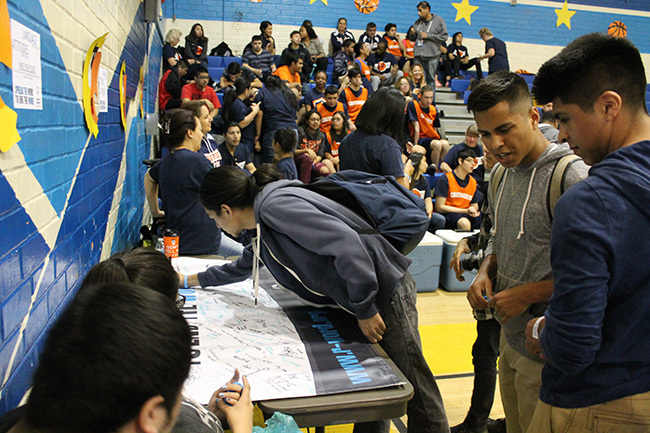 Students and staff at Polytechnic High School (LAUSD) on March 2, 2016. 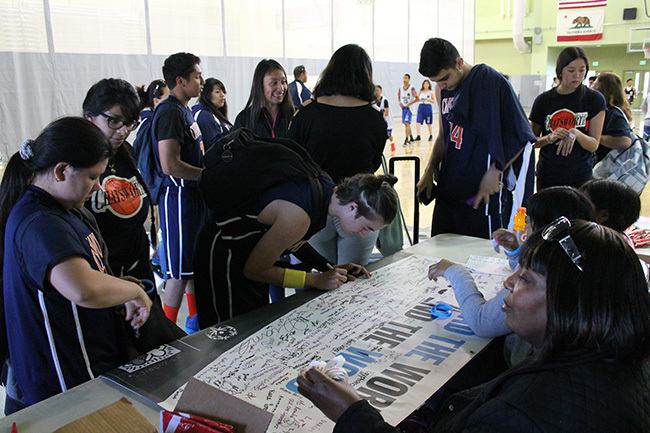 Students and staff at Roybal Learning Center (LAUSD) on March 2, 2016. 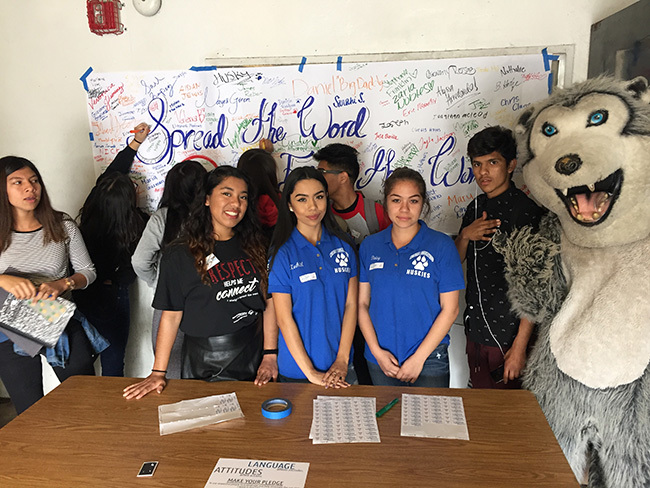 Students and staff at Verdugo Hills High School (LAUSD) on March 2, 2016.